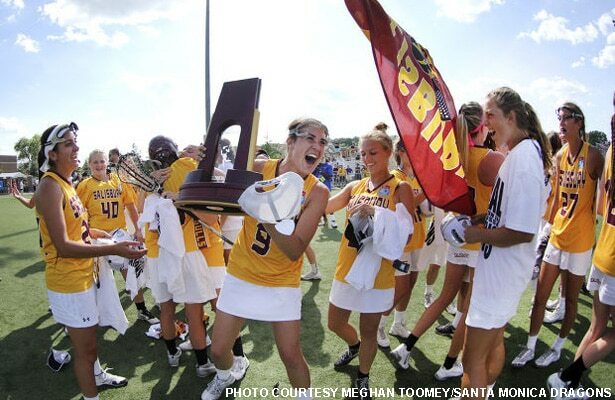 The Marlborough School recently named Meghan Toomey, a four-year starter and two-time national champion at Salisbury University, as head coach of its lacrosse program, which enters its third season of play next spring. A native of Annapolis, Md., Toomey moved to Los Angeles in January and started coaching with the Santa Monica Dragons and helping as an assistant at Palisades HS. Over the summer, the Marlborough opportunity arose, and she jumped at it. Marlborough, an all-girls private school in the Hancock Park neighborhood, only started playing lacrosse in 2014. Toomey said a recent “interest” meeting, which allowed students to learn more about both the sport and the program, attracted around 30 girls in grades 7-9. Add that interest level to the roughly 20-30 players Toomey says are set to return from last season, and roster numbers shouldn’t be a problem. Winning, on the other hand, might take some time. Marlborough went 4-7 in its inaugural season in 2014 then struggled to a 1-7 record last spring. But that one win came in the final game, capping what Toomey referred to as “an amazing journey” and giving the program a shot of energy.